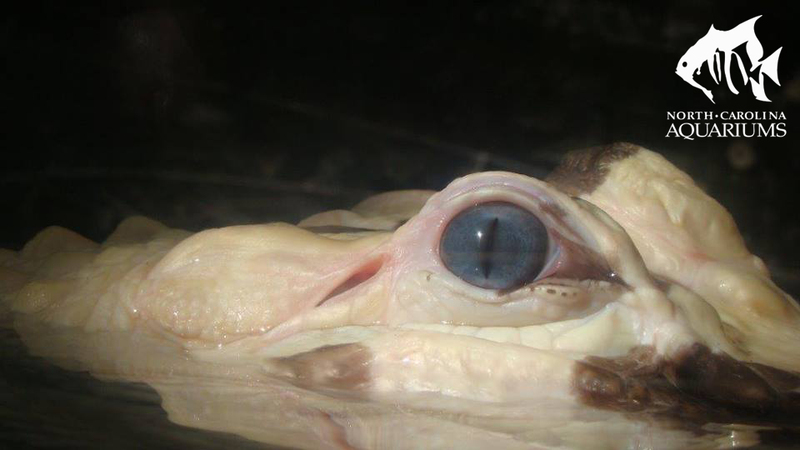 Use operations, logic, and algebraic thinking to calculate the time sea turtles spend nesting and how many eggs they lay. Click here for the worksheet as an editable file. 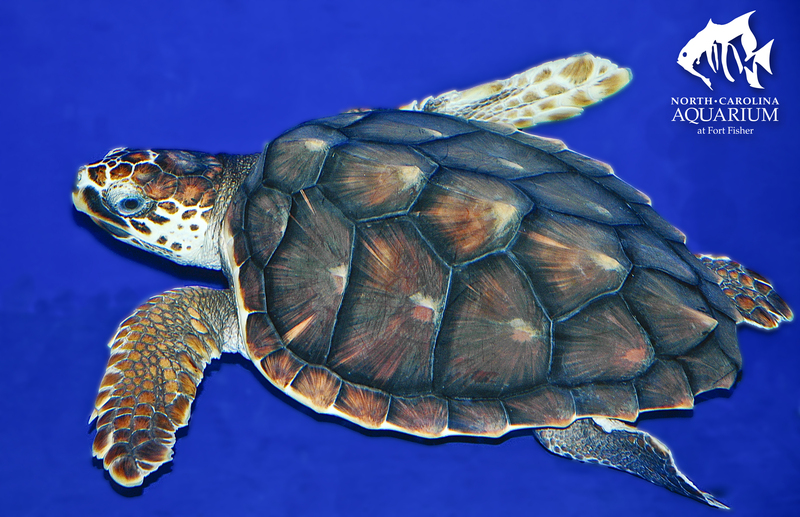 Learn about sea turtle camouflage by each coloring a sea turtle and matching sargassum. 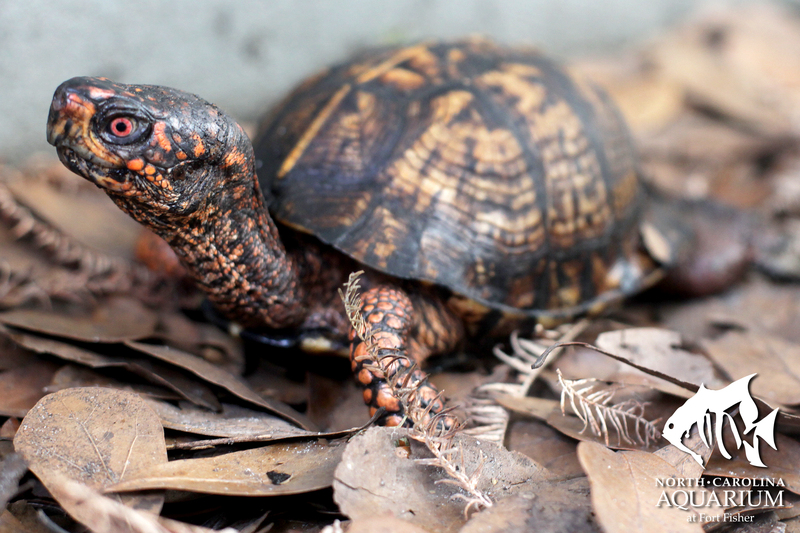 Students will then mix up the class’ turtles and help each turtle find the sargassum in which it can hide. 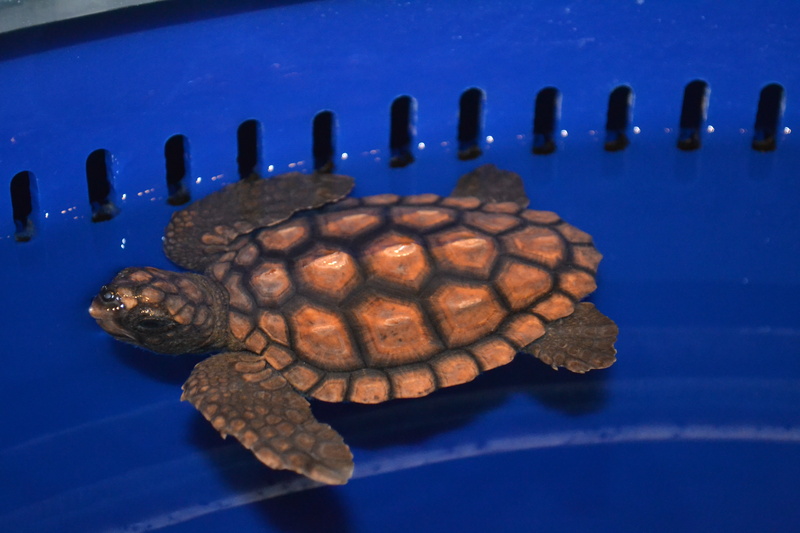 Learn about feeding sea turtle hatchlings using a hatchling you build out of rocks and paint. 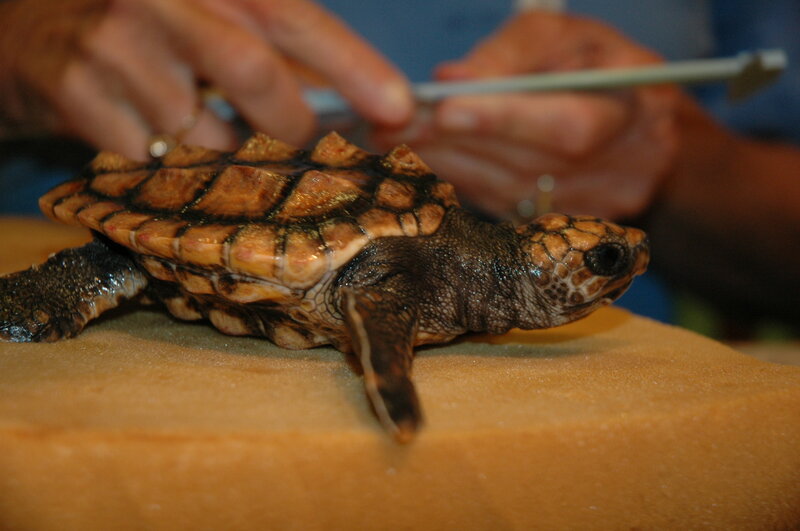 Then weigh and measure your hatchling and calculate the amount of food it needs to grow, based on a chart. 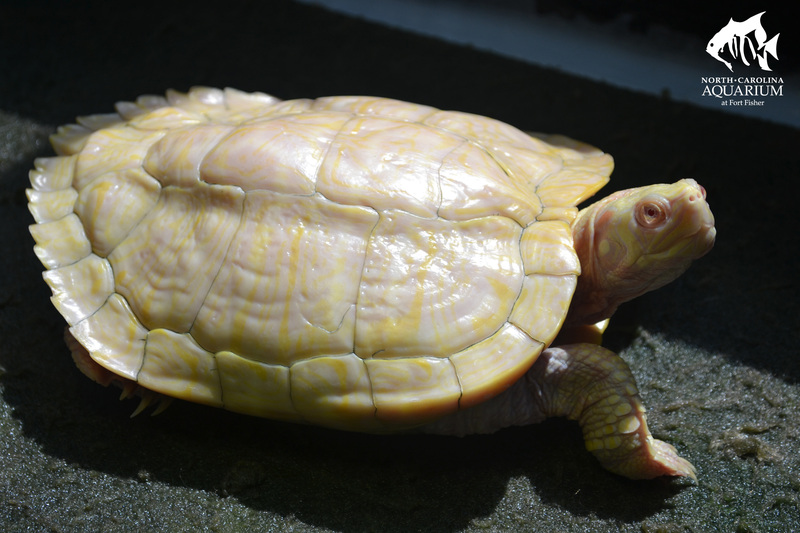 Click here for the data sheets and shell patterns as an editable file. 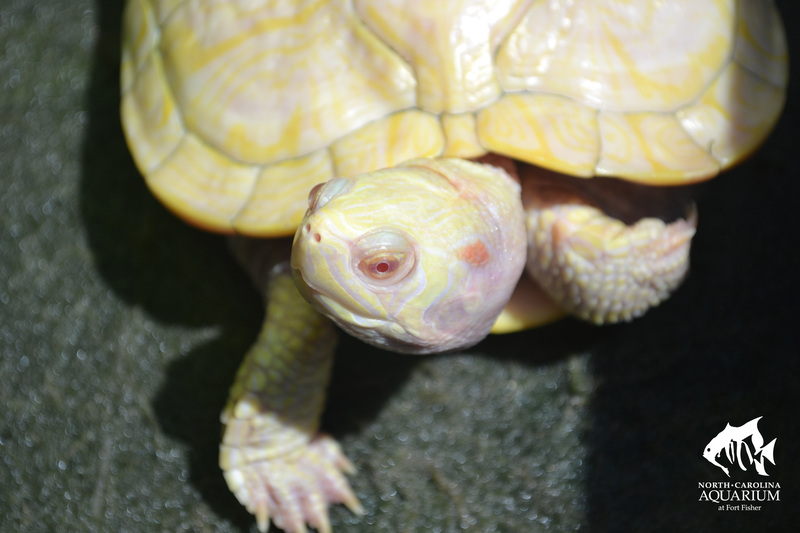 Learn about albinism in sea turtles and other reptiles. 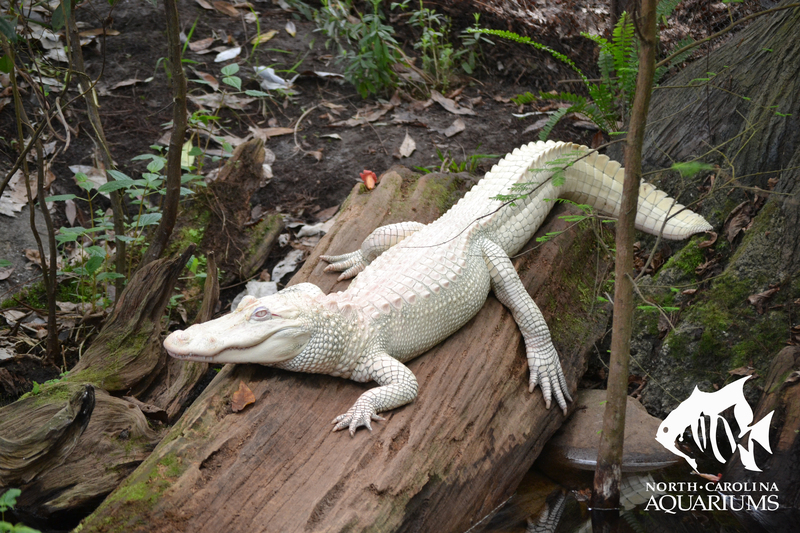 Use Punnett squares to lay out the genetics of albinism (a recessive trait) and determine how often albinism should occur among the offspring of non-albino parents with recessive albinism genes. 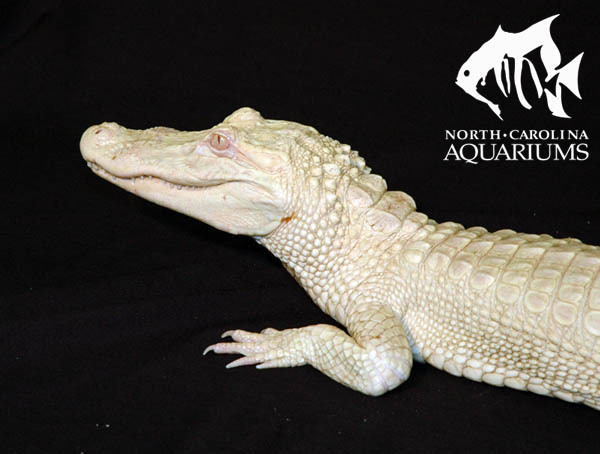 Click here for pictures of an albino alligator, an albino alligator’s eye, an albino snapping turtle, another albino snapping turtle, a leucistic alligator, a leucistic alligator’s eye, a leucistic sea turtle, an amellanistic turtle, and an amellanistic turtle’s eye. 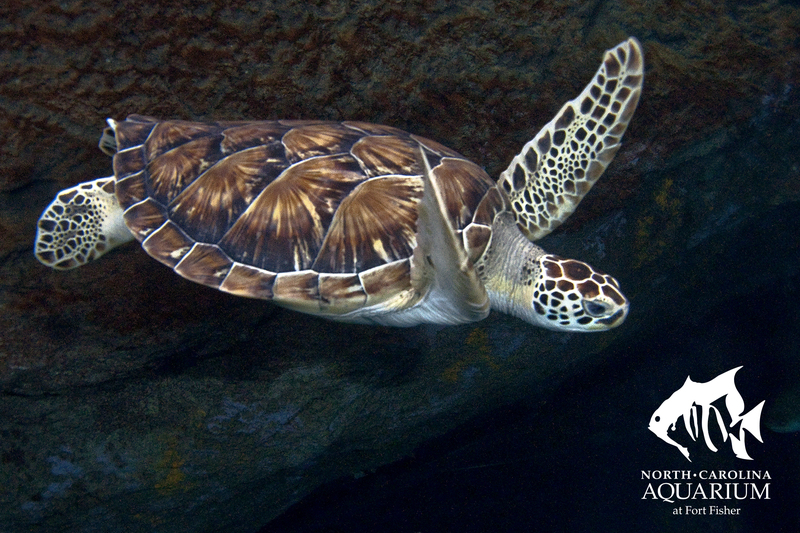 Use the Ask‐Imagine-Plan‐Create‐Improve procedure to design, and build if desired, a method to separate a sea turtle (Shelldon) from the other animals in his large enclosure to ensure he can eat all his food without having to compete with the other animals. 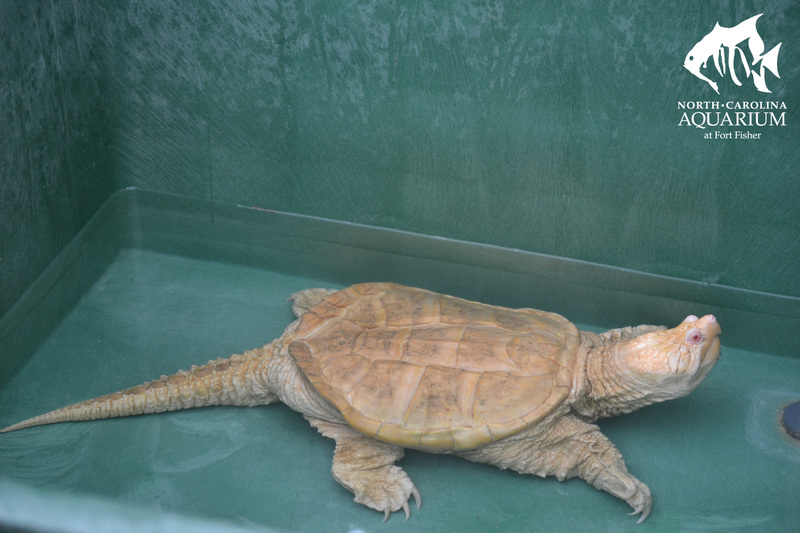 Read the story of a sea turtle who was brought to the aquarium sick because he had ingested a balloon. 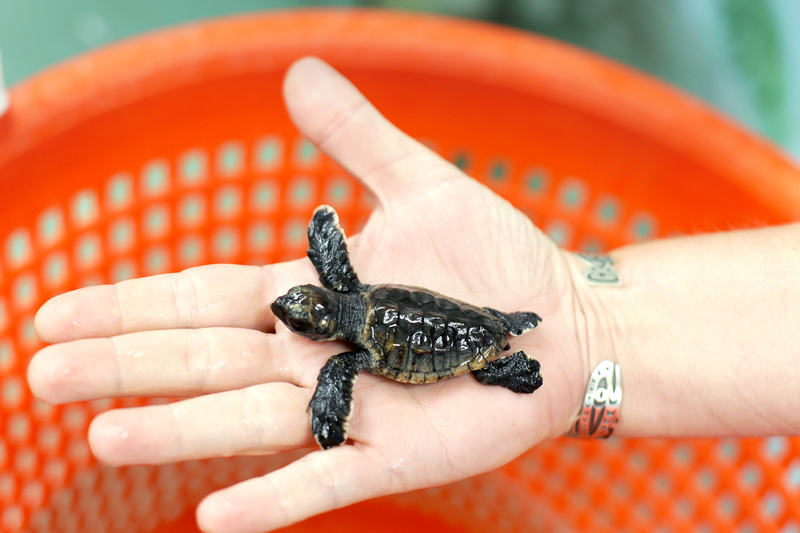 You will discuss why sea turtles eat trash and how we can prevent other sea turtles from being injured in this way. Click here to access Womble’s Tale. 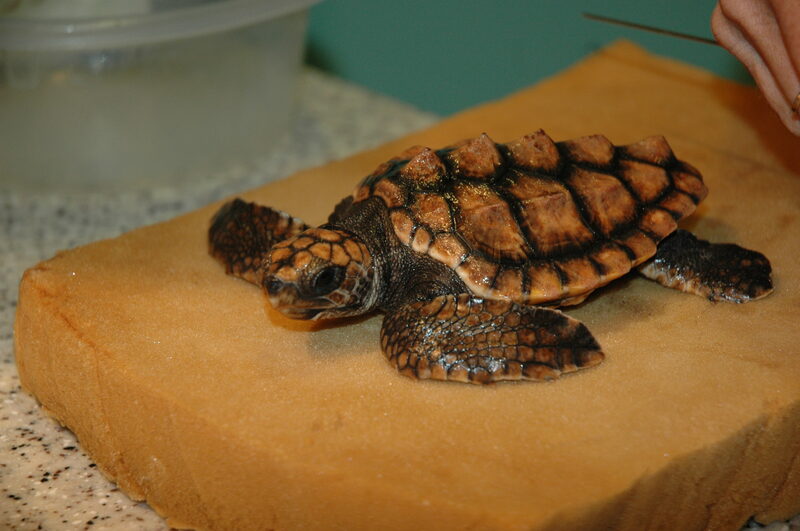 Learn about the Sargasso Sea-part of the North Atlantic Subtropical Gyre, which is home to juvenile loggerhead sea turtles. 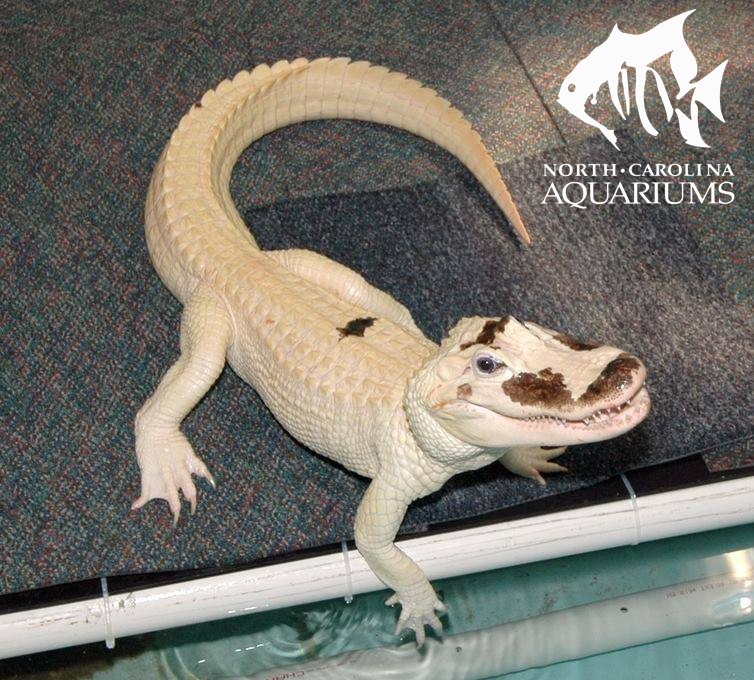 Use detective skills to search through samples from the Atlantic Ocean and find what else is collected in gyres. 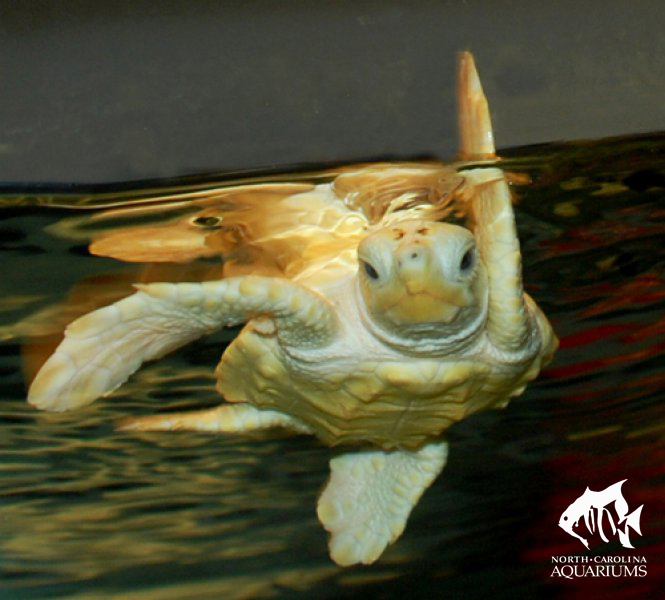 Learn about sea turtle growth by following the growth of the Loggerhead sea turtle ambassadors at the North Carolina Aquarium at Fort Fisher. 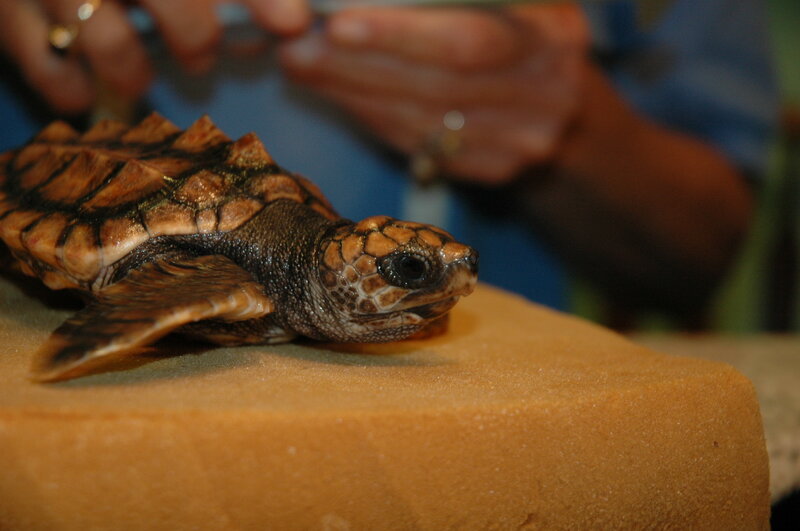 Learn about sea turtle growth by measuring pictures of hatchlings from the aquarium and graphing the change over time. Click here for the worksheet as a separate file. 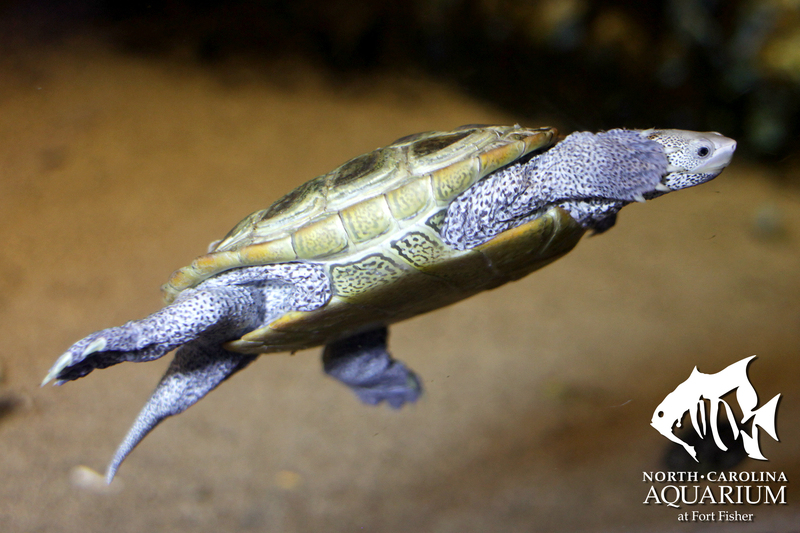 Write a narrative describing how you would spend a day as a turtle keeper at the aquarium. Click here for the worksheets as an editable file. 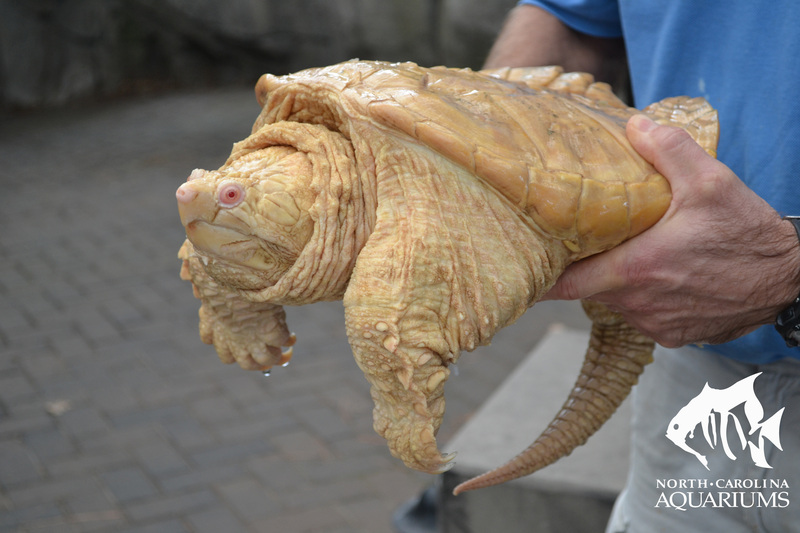 Students will write a short story describing what would happen if they were trapped in a sea turtle nest.